According to the International Coffee Organization (ICO), coffee is the second most traded commodity in the world, after oil, with consumption reporting to be about half a trillion cups per year. It is an important industry in many countries for its contribution to socio-economic development and contribution to GDP. According to the ICO, Jamaica is ranked 45th in world coffee production. 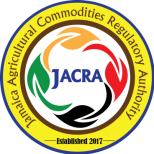 Production figures for the Jamaica High Mountain region from 1953 to 2017 show an average annual production of 188,532.25 boxes per year (1 box equals 62 lbs cherry coffee). The dominant coffee variety being propagated in the Jamaica coffee industry is the Arabica Typica. It is commonly referred to as “the cup quality of the Arabica Typica” as it is superior to that of the other Arabica varieties. Typica however, is not a heavy producer, as are some of the other varieties. The key characteristic about the Arabica Typica is its fine cup quality, which makes it one the best coffees in the world. Coffee cultivation in Jamaica takes place in the Blue Mountain Area of Jamaica (St. Thomas, St. Andrew and Portland) and the Jamaica High Mountain region (premium grades grown outside of the Blue Mountain area of Jamaica). Jamaica’s coffee is regarded as a gourmet product and, as such, does not trade on the Commodities Exchanges in New York or London.